Bile Leakage and Delayed Postcholecystectomy Syndrome Complicating Subtotal Cholecystectomy. Case Report and Literature Review. A Mohamed, N Bhat. Bile Leakage and Delayed Postcholecystectomy Syndrome Complicating Subtotal Cholecystectomy. Case Report and Literature Review.. The Internet Journal of Surgery. 2009 Volume 24 Number 1. Subtotal cholecystectomy is now considered as safe and effective option in patients with gall stone disease, where insistence on cholecystectomy may result in iatrogenic complications; however, its indications, feasibility, benefits and its short and long term complications are not well documented. We report a case of laparoscopic subtotal cholecystectomy complicated with early postoperative cystic duct leakage and delayed postcholecystectomy syndrome. We also review the literature with special reference for safety and complications of the procedure. A 46-year-old female was referred to the surgical outpatient department at KFMC, RIADH because of recurrent attacks of right upper guardant abdominal pain radiating to her right shoulder. The pain was associated with sense of fullness after meals and fat intolerance. She had laparoscopic cholecystectomy 5 years earlier at a peripheral hospital for gall stones. It was reported that the surgery was difficult due to acute inflammation and adhesion and the surgeon preferred to do subtotal cholecystectomy rather than to risk the structures of Calot’s triangle. Although the patient did well in the early postoperative period and was discharged on the second postoperative day, she was readmitted a week later with abdominal pain, vomiting, fever and abdominal signs of peritonitis. Abdominal ultrasound showed a significant amount of free fluid in the peritoneal cavity. ERCP demonstrated leakage from the gallbladder remnant. She had exploratory laparotomy. At laparotomy there was a considerable amount of bile in the peritoneal cavity together with severe inflammation and dense adhesion at Calot’s triangle that made dissection at the area unsafe and hazardous. Peritoneal washout was performed and a drain was placed in the subhepatic area. The patient did well in the postoperative period and she was discharged on the 10thpostoperative day after removal of the drain. She remained symptom-free for 4 years; then she started to complain of symptoms suggestive of postcholecystectomy syndrome including recurrent abdominal pain, nausea and fat intolerance which she described as the same as she used to have before removing her gallbladder. Routine blood test revealed normal CBC; urea and electrolytes, and liver function test were also normal. Abdominal ultrasound and CT scan showed postcholecystectomy status without extra- or intra-hepatic biliary dilation (figure 1). 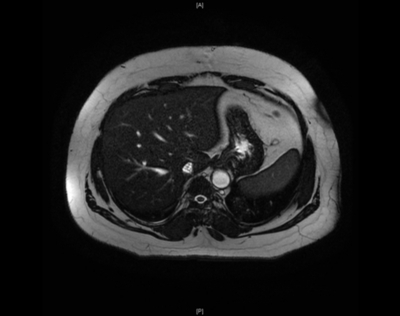 Figure 1: CT scan showing postcholecystectomy status without intra-hepatic biliary dilation. The MRCP showed postcholecystectomy changes and a dilated tubular-like structure within the gallbladder bed, which was connected to the cystic duct. The lumen of this tubular structure was hypointense in T2-weighted images, which correlates with incomplete excision of the gallbladder. The gallbladder remnant was full of stones. There were no signs of acute cholecystitis. The intrahepatic bile ducts, left and right main hepatic ducts, CBD and pancreatic duct were not dilated with no filling defects or stenosis. The CBD measured about 6-7 mm (figures 2, 3 & 4). The risk of complications was explained to the patient and she was offered laparoscopic completion cholecystectomy, but she declined most probably because of her previous experience. Surprisingly, her symptoms improved gradually and almost disappeared after a year of follow-up. Open cholecystectomy was the standard treatment for gall stones since Langenbuch performed the first cholecystectomy in 1882 (1). Laparoscopic cholecystectomy, first of all performed by Erich Mühe (Germany) in 1985, has in fact revolutionized the treatement of cholelithasis (2). With the proven advantage of laparoscopic cholecystectomy over open cholecystectomy in terms of postoperative morbidity, length of hospital stay and socio-economic benefits, laparoscopic cholecystectomy has almost replaced open cholecystectomy as the gold standard in the treatment of patients with symptomatic cholelithiasis. Acute cholecystitis was once considered a contraindication to laparoscopic cholecystectomy. Growing experience has allowed the use of LC in more complex procedures, (3) such as in acute cholecystitis patients (4-5). Currently, laparoscopic cholecystectomy has been accepted as a safe and feasible approach to acute cholecystitis in the hands of experienced surgeons. Many authors advocate early laparoscopic cholecystectomy for acute cholecystitis (6-10). With the advent of laparoscopic surgery, open subtotal cholecystectomy has fallen from favor. Laparoscopic subtotal cholecystectomy (LSC) is a valid alternative and can be a good option in the context of acute inflammation since a potentially hazardous dissection of Calot’s triangle is avoided (15-17). It prevents bile duct injuries and lowers the conversion rate in patients with technically difficult severe cholecystitis (18, 19). Apart from acute cholecystitis, subtotal cholecystectomy has been described as an easy, safe and definitive alternative to standard cholecystectomy in a number of situations including portal hypertension (20) and patients with Mirizzi syndrome type 1. Recent publications recommend subtotal cholecystectomy as the operation of choice in these situations (21, 22) and many authors consider it as safe and effective (23-26) option in patients with gall stone disease, where insistence on cholecystectomy may result in iatrogenic complications. The skeptics however view this procedure as incomplete with a potential for long-term morbidity. The possible disadvantages are an increased incidence of infection (since the GB is opened early in the course of surgery), residual or recurrent stone formation in the GB remnant, and the risk of malignancy arising in the retained GB mucosa (23). The short and long term complications of the procedure are not well studied, most probably because it is usually done as unplanned surgery in unexpected difficult situations. In recent years, few studies with a few cases of LSC have shown good results in patients with various forms of cholecystitis (27-28). However, its indications, feasibility, benefits and technical characteristics are less well documented (29). Satorras et al. reported a case of acute cholecystitis secondary to recurrent cholelithiasis after subtotal cholecystectomy which indicates completion surgery (30). Ji et al. retrospectively reviewed the data of 168 patients with various complicated forms of cholecystitis who were treated by laparoscopic subtotal cholecystectomy at Nanjing General Hospital in china in a 4-year period; he concluded that laparoscopic subtotal cholecystectomy for patients with complicated cholecystitis is difficult, with a longer operation time, more operative blood loss and higher conversion and complication rates than laparoscopic cholecystectomy. However, it is feasible and relatively safe. LSC is advantageous over open surgery, but it remains a non-routine choice (29). Cystic duct leak is a rare complication of laparoscopic surgery. It usually results from failure to ligate or clip the cystic duct or displacement of the ligatures or the clips. The clinical diagnosis of bile duct leak should be considered when a patient following cholecystectomy develops abdominal pain, fever, jaundice, peritonitis, persistent bilious drainage from the wound or surgical drains, or abnormal liver function studies (31). Ultrasonography was found to be the most useful initial investigation; biliary dilatation or perihepatic collection gave useful clues. E-HIDA scan is useful to demonstrate a bile leak but endoscopic retrograde cholangiogram (ERC) with or without occlusion cholangiography will clearly define the site of leakage (32). Early diagnosis and treatment of bile leak is crucial in decreasing the morbidity and mortality related to this complication. Endoscopic retrograde cholangiopancreatography with stent placement and/or sphincterotomy is highly effective in treatment of this problem (33-34). In presence of a large amount of bile in the abdomen, endoscopic ductal decompression and percutaneous drainage are effective treatments. Experiments in animals showed that the use of biodegradable stents is applicable, safe, and effective in the endoscopic treatment of postcholecystectomy cystic-duct leakage. In addition, the subsequent removal of the stent can be avoided (35). Operative intervention is rarely needed and should be reserved only for severely ill septic patients with florid signs of peritonitis. Several studies have showed that “postoperative” cystic duct leak is a rare complication of laparoscopic cholecystectomy and associated with fairly low morbidity (36-37). Recurrence of biliary symptoms following cholecystectomy, either open or laparoscopic, is quite common (38). In 10 to 15 percent of patients undergoing cholecystectomy, however, persistent or new abdominal or GI symptoms may arise after gallbladder surgery. The presence of such symptoms following gallbladder surgery, are collectively referred to as “post-cholecystectomy” syndrome (PCS). The syndrome was first described by Womack and Crider in 1947(39). Cystic duct or gall bladder remnant with or without stones seems to be emerging as one of the leading causes of post-cholecystectomy syndrome, especially in this era of minimally invasive surgery where subtotal cholecystectomy has started gaining popularity (40-41). It has been postulated that the length of the ideal cystic duct stump should be just under 0.5cm; in other words, the cystic duct should be cut very close to the common bile duct (42) but this is not always technically possible. In the era of open surgery the classical teaching for the trainee surgeons was to dissect the cystic duct down to its junction with the common hepatic duct to ensure leaving behind a short cystic duct stump during cholecystectomy. With introduction of laparoscopic surgery many surgeons feel it is more save to clip the cystic duct nearer to the Hartman’s pouch with theoretically increased risk of cholecystectomy syndrome. Palanivelu et al. successfully managed 15 patients with cystic duct remnant calculi who had earlier undergone laparoscopic subtotal cholecystectomy by laparoscopic excision of the remnant. They claimed that the incidence of remnant duct calculi following laparoscopic subtotal cholecystectomy is higher than after conventional laparoscopic cholecystectomy. They suggested that it is wise to leave behind a too long cystic duct stump rather than endanger the common bile duct and the vascular structures at Calot’s triangle in presence of acute inflammation. They believe that dealing with cystic duct remnant calculi is easier to manage than common bile duct or vascular injury (43). Symptoms of PCS include abdominal pain or colic, dyspepsia, constipation or diarrhea, nausea, bloating and fatty food intolerance (44), which may develop immediately or years after cholecystectomy. In our patient, the delayed onset of the symptoms suggested that the stones within the gallbladder remnant were recurrent rather than retained. The diagnostic algorithm should rule out non-biliary causes of right upper quadrant pain. The biliary causes of PCS include CBD stones, inflammatory stricture of the papilla and lesions of the cystic duct stump (45) with the most common cause retained common bile duct stone (46). Ultrasound and LFTs are first-line tests in PCS. If the CBD on US is ?10 mm, but no cause is identified, MRCP should be performed (47). As retained CBD stone is the most common cause of PCS, many authors consider ERCP is the principal method of diagnosis and should be performed in all patients with persistent symptoms after cholecystectomy (48-51). Once the patient has been diagnosed with cystic duct or gall bladder remnant stones, surgical excision should be undertaken to avoid potentially life-threatening complications, such as carcinoma, recurrent cholangitis, mucocele, recurrent cholelithiasis with gross dilatation of remnant, and Mirizzi syndrome (52-53). Laparoscopic cholecystectomy has been accepted as a safe and feasible approach to acute cholecystitis but is technically more demanding than in elective cases. Laparoscopic subtotal cholecystectomy can be a good option in the context of acute inflammation since a potentially hazardous dissection of Calot’s triangle is avoided; however, it is not risk free and the surgeons should be aware of the risks and complications of the procedure. 1. Langenbuch C: Ein Fall von Exstirpation der Gallenblase wegen chronischer Cholelithiasis. Heilung. Berl Klin Wochenschr; 1882; 19: 725. 2. Reynolds W Jr. The first laparoscopic cholecystectomy. JSLS; 2001; 5(1): 89-94. 3. Ji W, Li LT, Quan ZF, Chen XR, Li JS: Laparoscopic resection of insulinoma: two case reports. Chin Med J; 2004; 117: 1428-1430. 4. Kitano S, Matsumoto T, Aramaki M, Kawano K: Laparoscopic cholecystectomy for acute cholecystitis. J Hepatobiliary Pancreat Surg; 2002; 9: 534-537. 5. Sinha R, Sharma N: Acute cholecystitis and laparoscopic cholecystectomy. JSLS; 2002; 6: 65-68. 6. Garber SM, Korman J, Cosgrove JM, Cohen JR: Early laparoscopic cholecystectomy for acute cholecystitis. Surg Endosc; 1997; 11: 347-50. 7. Suter M, Meyer A. A 10-year experience with the use of laparoscopic cholecystectomy for acute cholecystitis: is it safe? Surg Endosc; 2001; 15: 1187-92. 8. Eldar S, Sabo E, Nash E, Abrahamson J, Matter I: Laparoscopic cholecystectomy for acute cholecystitis: prospective trial. World J Surg; 1997; 21: 540-5. 9. Madan AK, Aliabadi-Wahle S, Tesi D, Flint LM, Steinberg SM: How early is early laparoscopic treatment of acute cholecystitis? Am J Surg; 2002; 183: 232-6? 10. Cox MR, Wilson TG, Luck AJ, Jeans PL, Padbury RT, Toouli J: Laparoscopic cholecystectomy for acute inflammation of the gallbladder. Ann Surg; 1993; 218: 630-4. 11. Lim KR, Ibrahim S, Tan NC, Lim SH, Tay KH: Risk factors for conversion to open surgery in patients with acute cholecystitis undergoing interval laparoscopic cholecystectomy. Ann Acad Med Singapore; 2007; 36(8): 631-5. 12. Manson J: Bile duct injury in the era of laparoscopic cholecystectomy. Br J Surg; 2006; 93: 640. 13. Mahatharadol V: Bile duct injuries during laparoscopic cholecystectomy: an audit of 1522 cases. Hepatogastroenterology; 2004; 51: 12-14. 14. Douglas PR, Ham JM. Partial cholecystectomy. Aust NZ J Surg; 1990; 60: 595-597. 15. Philips JA, Lawes DA, Cook AJ, Arulampalam TH, Zaborsky A, Menzies D, Motson RW: The use of laparoscopic subtotal cholecystectomy for complicated cholelithiasis. Surg Endosc; 2008; 22(7): 1697-700. 16. King NK, Siriwardana HP, Siriwardena AK: Cholecystitis after cholecystectomy. J R Soc Med; 2002; 95(3): 138-9. 17. Carter DC, Patterson-Brown S: Cholecystectomy, cholecystostomy and exploration of the bile duct. In: Carter DC, Russell RCG, Pitt HA, Bismuth H, eds. Rob & Smith’s Operative Surgery: Hepatobiliary and Pancreatic Surgery. London: Chapman & Hall, 1996: 337-50. 18. Philips JA, Lawes DA, Cook AJ, Arulampalam TH, Zaborsky A, Menzies D, Motson RW: The use of laparoscopic subtotal cholecystectomy for complicated cholelithiasis. Surg Endosc; 2008; 22(7): 1697-700. 19. Nakajima J, Sasaki A, Obuchi T, Baba S, Nitta H, Wakabayashi G: Laparoscopic subtotal cholecystectomy for severe cholecystitis. Surg Today; 2009; 39(10): 870-5. 20. Bornman PC, Terlanche J: Subtotal cholecystectomy: for the difficult gallbladder in portal hypertension and cholecystitis. Surgery; 1985; 98: 1-6. 21. 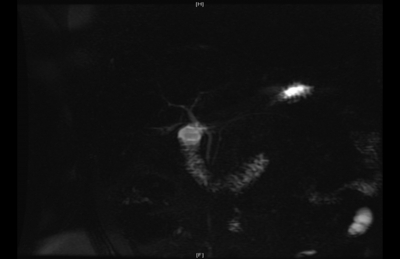 Baer HU, Matthew JB, Schweizer WP, Gertsch P, Blumgart LH: Management of the Mirizzi syndrome and the surgical implication of cholecystcholedochal fistula. Br J Surg 1990; 77: 743-745. 22. Katsohis C, Prousalidis J, Tzardinoglou E, Michalopoulos A, Fahandidis E, Apostolidis S, Aletras H: Subtotal cholecystectomy. HPB Surg; 1996; 9(3): 133-6. 23. Ibrarullah M, Kacker LK, Sikora SS, Saxena R, Kapoor VK, Kaushik SP: Partial cholecystectomy. HPB Surgery, 1996; 9: 133-136. 24. Chowbey PK, Sharma A, Khullar R, Mann V, Baijal M, Vashistha A. Laparoscopic subtotal cholecystectomy: a review of 56 procedures. J Laparoendosc Adv Surg Tech A; 2000; 10(1): 31-4. 25. Bickel A, Lunsky I, Mizrahi S, Stamler B. Modified subtotal cholecystectomy for high risk patients. CJS; 1990; 33: 13-14. 26. Schein M: Partial cholecystectomy in the emergency treatment of acute cholecystitis in the compromised patient. J R Coll Surg Edinb; 1991; 311: 295-297. 27. Beldi G, Glattli A. Laparoscopic subtotal cholecystectomy for severe cholecystitis. Surg Endosc; 2003; 17: 1437-1439. 28. Michalowski K, Bornman PC, Krige JE, Gallagher PJ, Terblanche J: Laparoscopic subtotal cholecystectomy in patients with complicated acute cholecystitis or fibrosis. Br J Surg; 1998; 85: 904-906. 29. Ji W, Li LT, Li JS: Role of laparoscopic subtotal cholecystectomy in the treatment of complicated cholecystitis. Hepatobiliary Pancreat Dis Int; 2006; 5(4): 584-9. 30. Satorras AM, Villanueva L, Vázquez J, Pigni L, Salem AM, Ramos A. [Acute cholecystitis secondary to recurrent cholelithiasis after subtotal cholecystectomy]. Cir Esp; 2005; 77(1): 51-3. 31. Zargar SA, Javid G, Ahmad B: Endoscopic management of bile duct leaks. JK Practitioner; 2001; 8(4): 231-234. 32. Hsu RKK, Lai CW, Lo KK, Chung SSC, Leung JWC: Endoscopic management of bile leak. J Hong Kong Med Assoc; 1991; 43: 161-163. 33. Massoumi H, Kiyici N, Hertan H: Bile leak after laparoscopic cholecystectomy. J Clin Gastroenterol; 2007; 41(3): 301-5. 34. Parlak E, Ciçek B, Di?ibeyaz S, Kuran SO, O?uz D, Sahin B: Treatment of biliary leakages after cholecystectomy and importance of stricture development in the main bile duct injury. Turk J Gastroenterol; 2005 Mar; 16(1): 21-8. 35. Laukkarinen J, Nordback I, Mikkonen J, Kärkkäinen P, Sand J: A novel biodegradable biliary stent in the endoscopic treatment of cystic-duct leakage after cholecystectomy. Gastrointest Endosc; 2007 Jun; 65(7): 1063-8. 36. Wise Unger S, Glick GL, Landeros M: Cystic duct leak after laparoscopic cholecystectomy, a multi-institutional study. Surg Endosc; 1996, 10: 1189-1193. 38. Pernice LM, Andreoli F.: Laparoscopic treatment of stone recurrence in a gallbladder remnant: report of an additional case and literature review. J Gastrointest Surg; 2009; 13(11): 2084-91. 39. Womack NA, Crider RL: The persistence of symptoms following cholecystectomy. Ann Surg; 1947; 126: 31-55. 40. Lum YW, House MG, Hayanga AJ, Schweitzer M: Postcholecystectomy syndrome in the laparoscopic era. J Laparoendosc Adv Surg Tech A; 2006; 16(5): 482-5. 41. 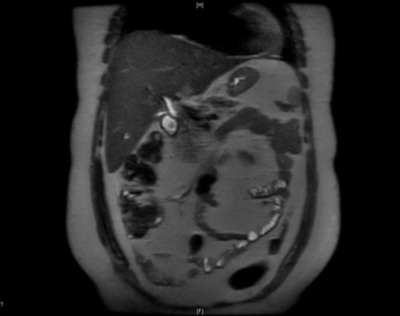 Chow M, von Waldenfels A, Pace R: An unusual case of a retained stone following laparoscopic cholecystectomy. J Laparoendosc Surg; 1993; 3: 513-8. 42. Walsh RM, Ponsky JL, Dumot J. Retained gallbladder/cystic duct remnant calculi as a cause of postcholecystectomy pain. Surg Endosc; 2002; 16: 981-4. 43. Palanivelu C, Rangarajan M, Jategaonkar PA, Madankumar MV, Anand NV: Laparoscopic management of remnant cystic duct calculi: a retrospective study. Ann R Coll Surg Engl; 2009; 91(1): 25-9. 44. Galbfach PJ, Ko?aci?ska MB, Flont PA, Spychalski MI, Narbutt PG, Mik ML, Dziki ?A, Dziki AJ: Gastric complaints or postcholecystectomy syndrome? Pol Merkur Lekarski; 2008; 25(147): 221-5. 45. Ping-Hong Zhou,Feng-Lin Liu,Qing Yaa,XinYa Qin: Endoscopic diagnosis and management of postcholecystectomy syndrome. HBPD Int; 2003; 2(1): 117-120. 46. Tsoraides SS, Cha AI, Crawford DL: Postcholecystectomy biliary symptoms. J Surg Educ; 2007; 64(4): 228-33. 47. Terhaar OA, Abbas S, Thornton FJ, Duke D, O’Kelly P, Abdullah K, Varghese JC, Lee MJ: Imaging patients with “post-cholecystectomy syndrome”: an algorithmic approach. Clin Radiol; 2005; 60(1): 78-84. 48. Useche E, Salazar S, Vetencourt R, Castillo J, Guzmán S: [The effectiveness of endoscopic retrograde cholangiopancreatography in the etiological diagnosis of postcholecystectomy syndrome]. G E N; 1993; 47(3): 157-61. 49. Bra?kov N: [The so-called postcholecystectomy syndrome in light of the results of endoscopic retrograde cholangiopancreatography]. Vutr Boles; 1991; 30(2): 91-3. 50. Dilawari JB, Chawla YK, Singhal AK, Kataria S: Postcholecystectomy syndrome in northern India — study on the diagnostic and therapeutic role of ERCP. Gastroenterol Jpn; 1990; 25(3): 394-9. 51. Cooperman M, Ferrara JJ, Carey LC, Thomas FB, Martin EW Jr, Fromkes JJ: Endoscopic retrograde cholangiopancreatography. Its use in the evaluation of non-jaundiced patients with the postcholecystectomy syndrome. Arch Surg; 1981; 116(5): 606-9. 52. Enns R, Brown JA, Tiwari P, Amar J: Mirizzi’s syndrome after cholecystectomy. Gastrointest Endosc; 2001; 53: 629-32. 53. Bhuiya RM, Nimura Y, Kamiya J, Kondo S, Nagino M, Kanai M, et al. : Recurrent carcinoma of cystic duct remnant with subcutaneous implantation in abdominal wall. HBP Surg; 1997; 4: 223-6.